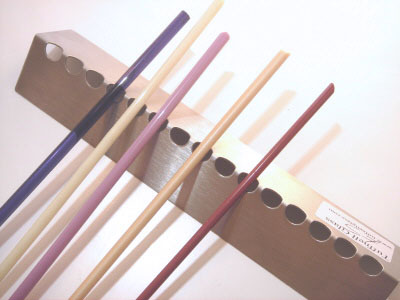 This stainless steel rod rest is designed to stop hot ends of glass rods burning your work surface. Grooves cut in to the top securly hold glass rods safely in place and out of danger. Measures 25mm high x 200mm long.